Barrett Farms is a Holly Springs / Canton Georgia subdivision located just off of Hickory Road in Cherokee County GA 30115. This community is built and developed by Sun Quality Homes Inc. Homes built between 1999 to 2001. 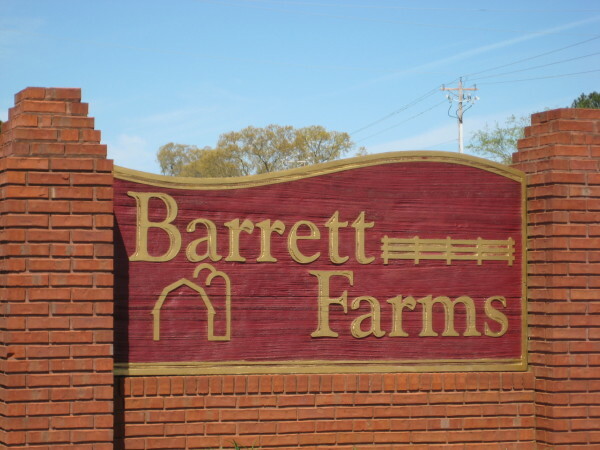 Homes For Sale In Barrett Farms More Homes For Sale In Canton GA The average list price for a home in Barrett Farms is between $66,500 to $170,00. The average selling price for a home, at time of post, for a 3 bedroom, 2.5 bathroom...Continue Reading!